Take control of your originality. 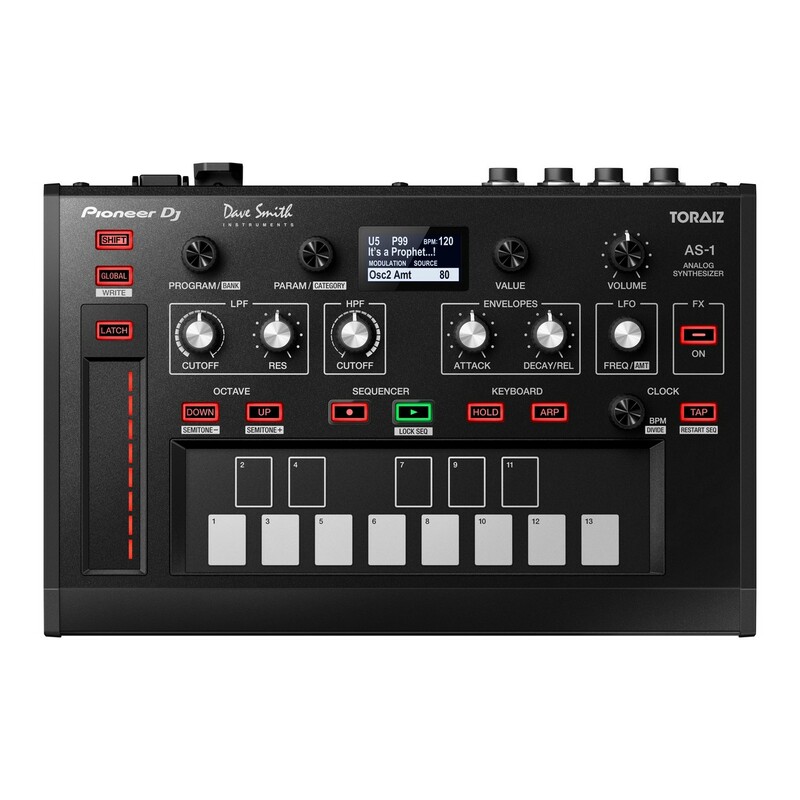 The Pioneer TORAIZ AS-1 analog synthesizer gives you the ability to make inspired creative choices. Built on the circuitry of the Dave Smith Prophet-6, it includes 7 analog effects. In one moment you can create smooth, soft string motifs, in another, you can create huge track defining bass and leads. Make more music with the TORAIZ AS-1. You get the creative convenience of 495 customisable program slots (all with their own unique 64-step sequence) and another 495 pre-programmed sounds. Having so much potential combined with easy to use tools, means the Pioneer AS-1 is one of the most capable monophonic synths in the world today. When two designers with such incredible track-records and experience come together to design a synthesizer, you know it's going to be good. Utilizing the discrete analog circuitry from the Dave Smith Instruments' Prophet 6, the TORAIZ AS-1 is capable of producing powerful and effective monophonic sounds. Pioneer DJ worked closely with Dave Smith himself to create the AS-1, and the experience of both definitely shows. Connecting the AS-1 to the SP-16 live sampler opens up a whole host of possibilities. 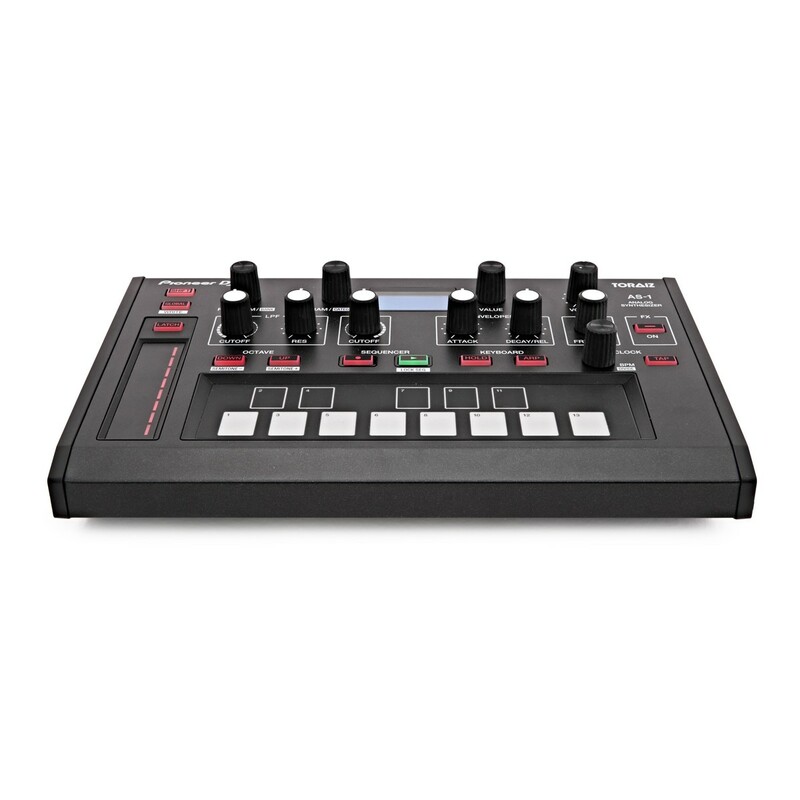 Simply connecting the two via MIDI, you can use the SP-16's sophisticated sequencer to create incredible patterns with the sounds generated with the AS-1. 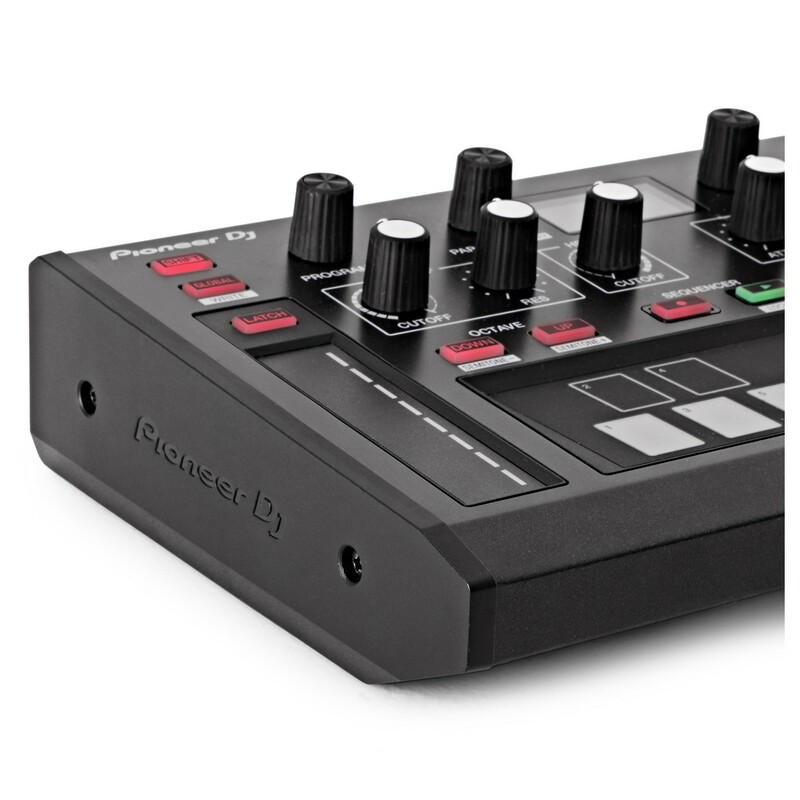 The two units can be connected to your DJM mixer via Pro DJ link and MIDI, enabling you to play tracks through the CDJs, add loops and one shots using the SP-16, and create powerful and unique analog leads all in sync with the music. The potential for powerful basslines and screaming leads is all down to the synthesis engine based on the analog circuitry from Dave Smith Instruments' Prophet-6. Featuring two VCOs (voltage controlled oscillators), you have control over continously variable triangle, sawtooth and pulse waves. Alongside these lies two VCFs (voltage controlled filters) from the Prophet-6: a 4-pole reonant LPF (low pass filter) with self-oscillation potential, and a 2-pole resonant HPF (high pass filter). 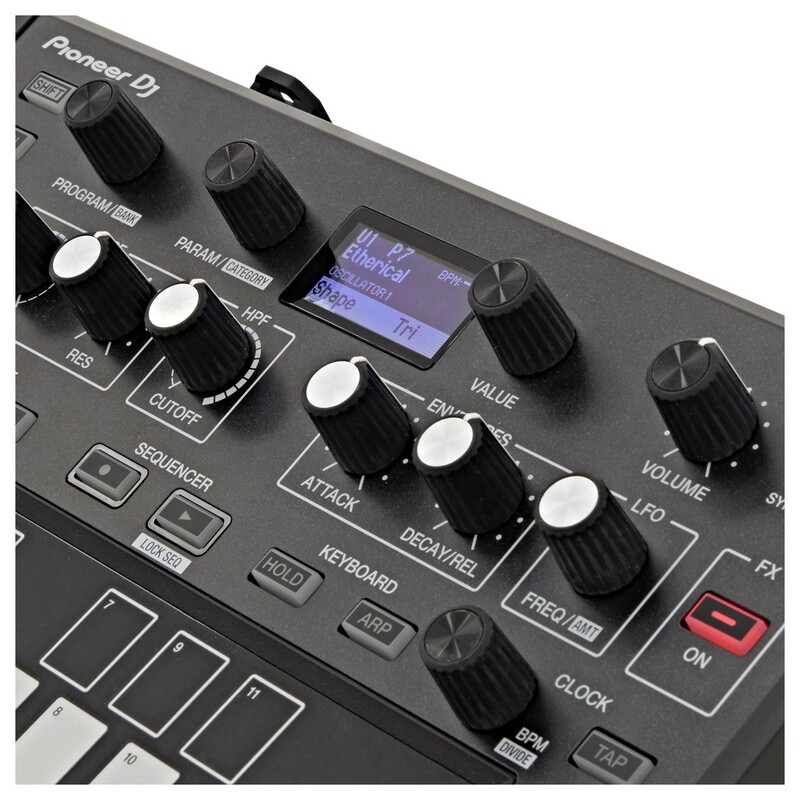 Utilizing the AS-1's interface, you can create unique sounds which can be saved along with its parameter settings and can be instantly accessed at a later time. Featuring 495 preset programs, all with their own unique 64-step sequence, you'll never run out of inspiration to fill the extra 495 available programs with your own sounds. 13 programs are assignable as "Quick Programs" which can be recalled at any time from the touch-pad keys. Featuring the dual-effects engine from the Prophet-6, you are able to add a single effect, or even pair two together for extra layers and texture to add to your sound. True bypass preserves the pure analog signal. A huge array of sounds can be generated using the intuitive touchpad-style keyboard and slider. Aspects such as the arpeggiator, scale mode, and the 64-step sequencer bring a whole world of possibilities to your sound sculpting. The Toraiz AS-1 features 13 unique touchpad-style keys. These can be used to play the AS-1, or recall any 13 preset or user saved programs on the fly. The AS-1 has 21 on-board scale modes, meaning you can rapidly flip between different scales depending on the feel you want within the music. The arpeggiator is also utilized through these keys, which can be used either as a single note arpeggio, or changed in real time using multiple keys at once. Two VCOs, Two VCFs, One VCS, Two EGs, and One LFO. Based on the Dave Smith Instruments' Prophet-6 Analog Circuitry. 495 Presets, and 495 Program Slots for Your Own Sounds. Prophet-6 Derived Dual Effects Engine. FX1: Bucket Brigade Delay, Distortion, Ring Modulation. 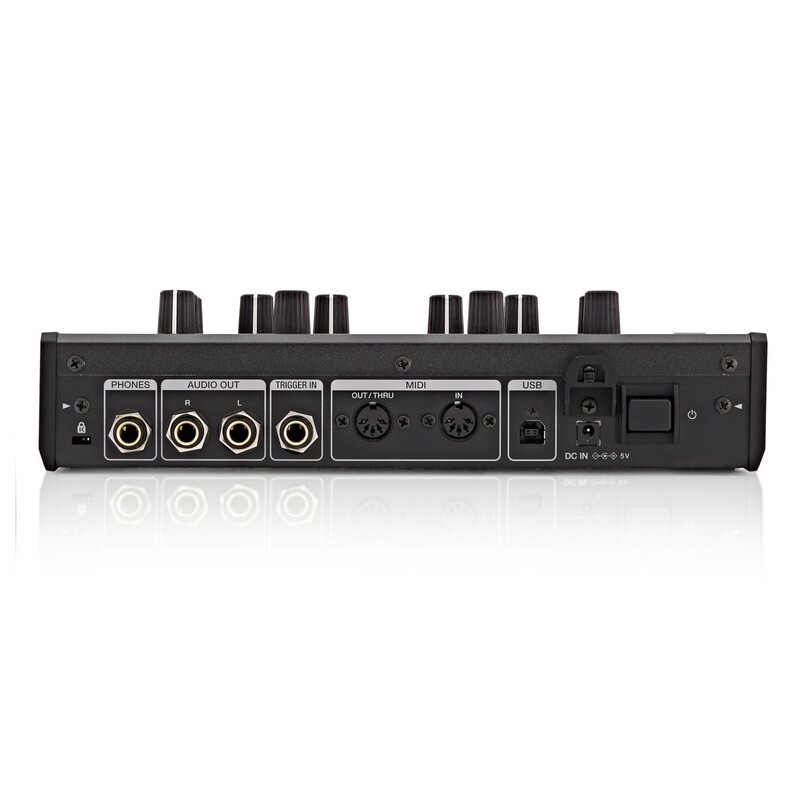 FX2: Chorus, High-Resonance Phaser, Low-Resonance Phaser, Maestro Phaser. Intuitive User Interface & Performance Features. 13 Touchpad-Style Keys With a Touchpad-Style Slider. Audio Out Left & Right (1/4" TS Jacks), Headphones (1/4" Stereo Headphone Jack).